A brief look at six must visit places listed by recent Rough Guides video. 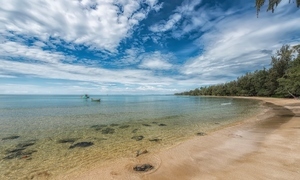 Vietnam has emerged as a major tourist destination in the world in the last decade, getting rave reviews from visitors and prestigious international travel publications. 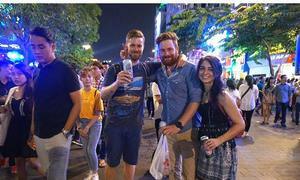 Last year, it welcomed a record-breaking 12.8 million foreign tourists. 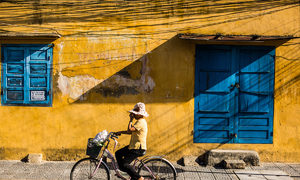 Rough Guides, one of the most respected travel publications, has repeatedly urged its readers to check out the best sites in Vietnam. In a short video released earlier this month, the U.K.-based travel website lists six must-visit places along the country's S-shaped map. 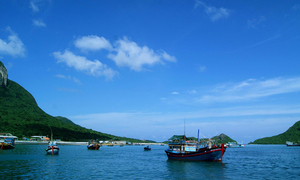 Phan Thiet is a bustling port city about 200 kilometers north of Ho Chi Minh City. The city has become a favorite destination for tourists with beautiful beaches, kite-surfing, sand dunes that evoke mysterious images of a desert and a coastline dotted with quaint fishing villages. 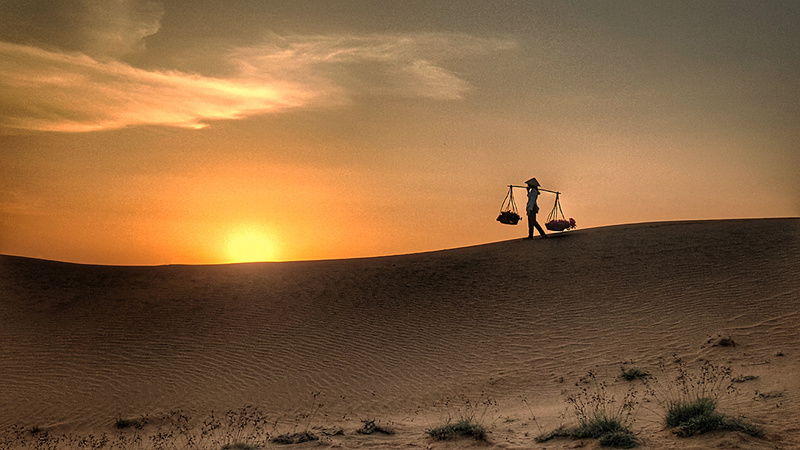 Just 23 kilometers from downtown Phan Thiet, Mui Ne has become one of the most popular vacation spots in the country. This seaside paradise has added to its vacation value by offering many exciting water sports like windsurfing, surfing, jet-skiing, and kayaking. However, an unparalleled experience here is catching the first rays of sunlight on the breathtaking white sand dunes. 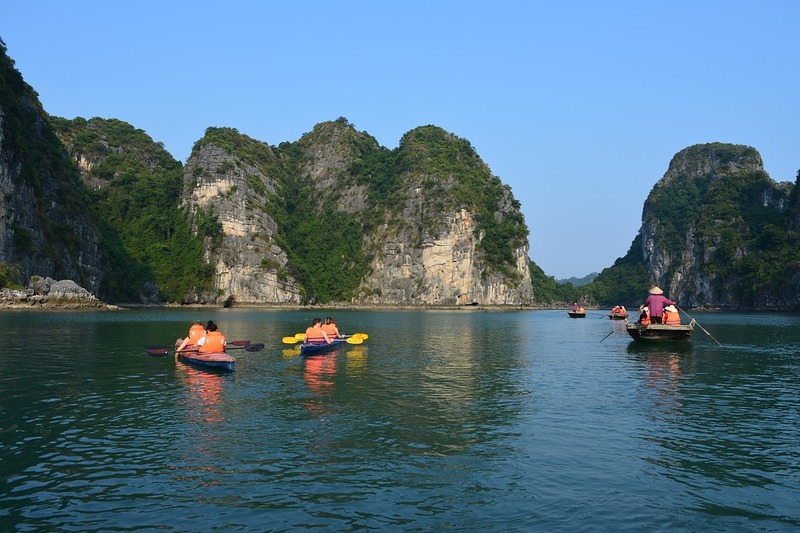 Tourists enjoy kayaking and boat rides in Ha Long Bay. Possibly the most well-known natural beauty in Vietnam, Ha Long Bay, 180 kilometers to the east of Hanoi, has seen its popularity rise steadily since it was recognized as a World Heritage Site by UNESCO in 1994. With the summer season calling, one of the best choices is to take a cruise through the countless spectacular rock formations rising above the clear waters, go kayaking through caves to hidden lagoons and swim in its cool, clear waters. 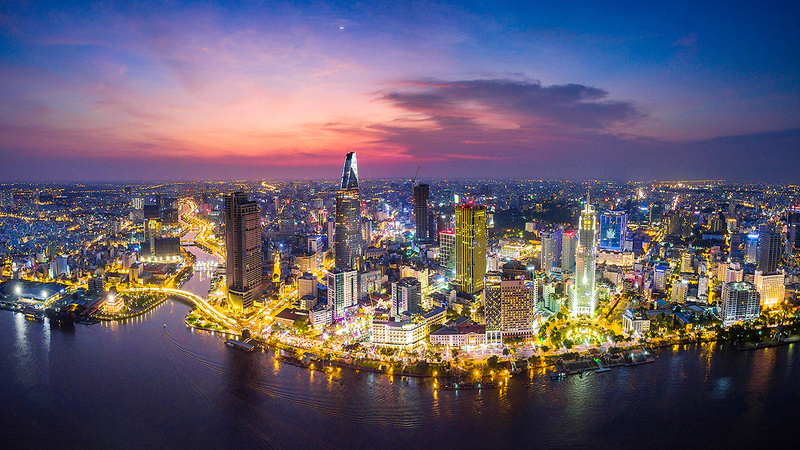 It might not be the Pearl of the Orient that it was known as once, but Saigon, former name of Ho Chi Minh City, never fails to dazzle. The cosmopolitan city deserves the plaudits it regularly gets from all quarters. Last April, the southern megacity of skyscrapers and French heritage buildings was voted for by readers of the U.K. travel site as THE PLACE to go for the best nightlife experience in Southeast Asia. “When the sun goes down, the bustling energy of southern Vietnam's megalopolis transfers to its many clubs and bars,” Rough Guides says. Famous for its historic relics, ancient pagodas and temples, and a generous scattering of picturesque lakes, the capital of Vietnam is a place every visitor wants to return to. Wandering in the city’s Old Quarter and its 36 guild streets not only connects you with the heady energy of the place, but also gives you the opportunity to find places where time has stood still. 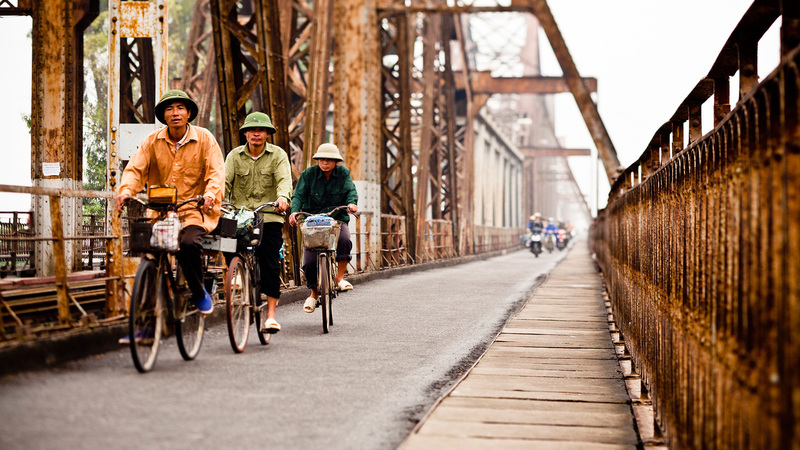 Then there is the iconic Long Bien Bridge which has spanned the majestic Red River for more than one century. The best time to take a walk across the bridge is in the early morning or late afternoon. Take your camera along and you will invariably capture something magnificent. Among the myriad pagodas that continue exude serenity amidst the urban bustle are the Tran Quoc Pagoda, the oldest in the city, and the Ngoc Son Temple in the middle of the Hoan Kiem Lake. 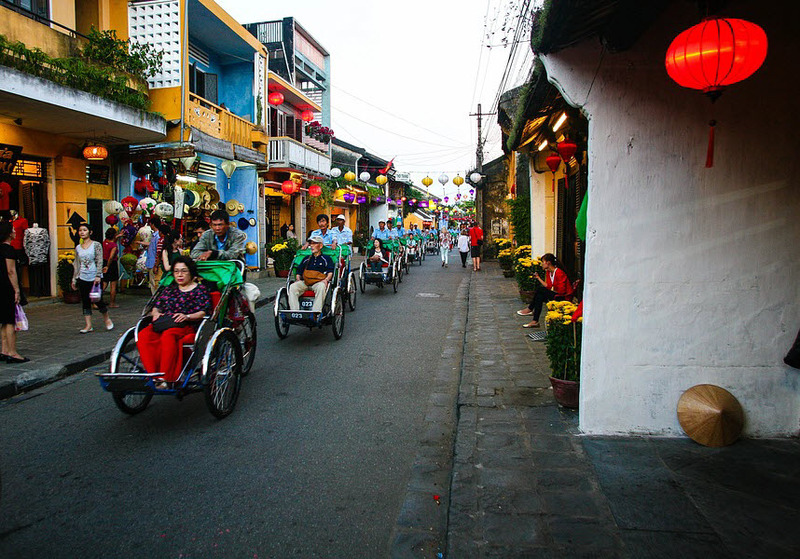 Tourists join a cyclo tour to explore Hoi An ancient town. 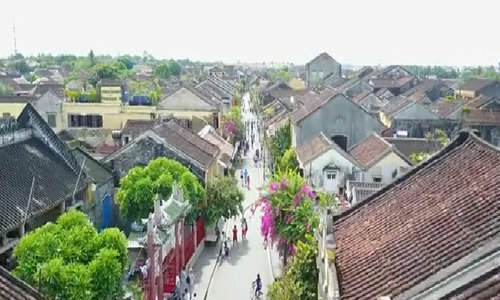 Once a bustling trade port between the 15th and 19th centuries, the ancientness of Hoi An has made it a unique, favorite attraction for both Vietnamese and foreign visitors. The charm of Hoi An lies in the tranquility and slow pace of life it still offers, something that cannot be found anywhere else in Vietnam. Motorbikes are banned in the town center, so it's great to take a stroll past the yellow houses with their old red-tiled roofs, or join a cyclo tour of the old town. The ancient town glows with innumerable colors during the lantern festival, held on the 14th day of each lunar month. It is a sight that is not to be missed. 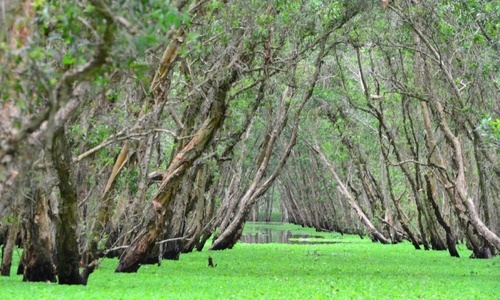 With its vast, endless network of waterways, orchards and seafood sources, the Mekong Delta is an awesome place to visit throughout the year, but it really comes into its own during the flooding season from July to the end of November. The delta is a place where floods are awaited eagerly, because they deposit large amounts of rich silt that gives the region a fertility to be envied. The flooding is seen as a gift from heaven that brings tons of fish into the paddy fields along with alluvial deposits to fertilize the next crop. 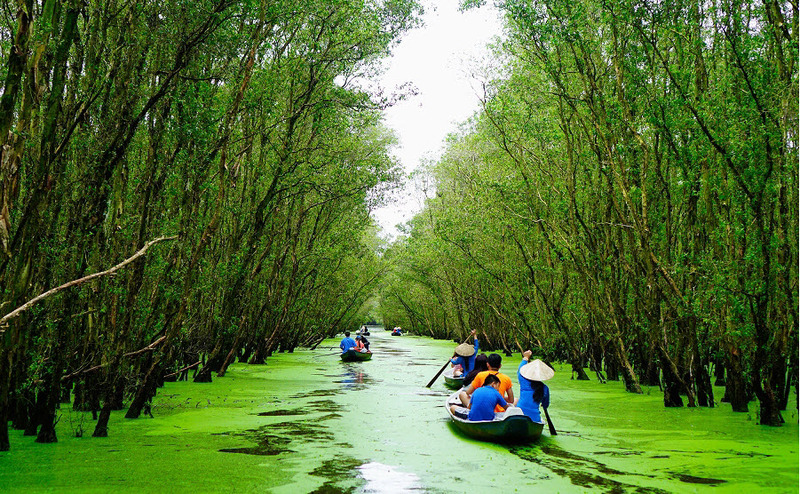 Boat rides through mangroves, cajuput forests, floating markets and fruit orchards are the way to go in the Mekong Delta, but there is so much in this region that lends itself to endless personal discoveries.